Sidney Crosby had a goal and three assists, and Jake Guentzel had two goals and two assists Saturday as the visiting Pittsburgh Penguins jumped on the Montreal Canadiens early in a 5-1 win. It was the 32nd time in his career Crosby has amassed four or more points in a game, and he made it 10 career seasons with at least 80 points. He has 83. Evgeni Malkin also scored and Jared McCann had a goal and an assist for Pittsburgh, which has won two of its past three games and pulled even with the Canadiens and into a wild-card spot in the Eastern Conference at 77 points. Goaltender Matt Murray stopped 36 of 37 Montreal shots. Brendan Gallagher scored for Montreal, which had won two straight. 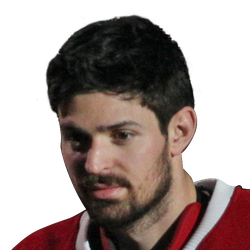 Carey Price gave up four goals on 24 shots. With six weeks left in the season and a tight race in the East for playoff spots, both teams opted to go with their No. 1 goaltender for the second night in a row. Crosby scored 21 seconds into the first period. 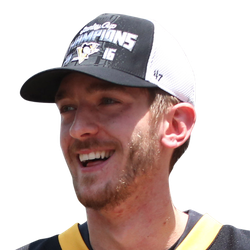 He forced a turnover in Montreal's end, with McCann feeding Guentzel, who set up Crosby for a deflection that banked off the right post and the back of Price's skate. That goal boosted Crosby past Jaromir Jagr into sole possession of second place all-time in Penguins history with 440 goals. Malkin's power-play goal on a shot from the left point at 4:38 of the second made it 2-0. Guentzel hit the 30-goal mark for the first time and made it 3-0 at 8:51 of the first. Off a faceoff won by Crosby, Guentzel scored from the top of the left circle. That gave Pittsburgh three goals on four shots. At 6:24 of the second, Guentzel struck again to make it 4-0. He took a feed from Crosby and lofted the puck past Price's right shoulder. Montreal cut it to 4-1 at 7:20 of the second when Gallagher's shot clipped Murray's arm on its way into the net. McCann added an empty-net goal with 1:24 left.